1 Smoke follows a strike during fighting between Syrian Kurds and the Islamic State militants, as seen from the Turkey-Syria border, Oct. 21, 2014. 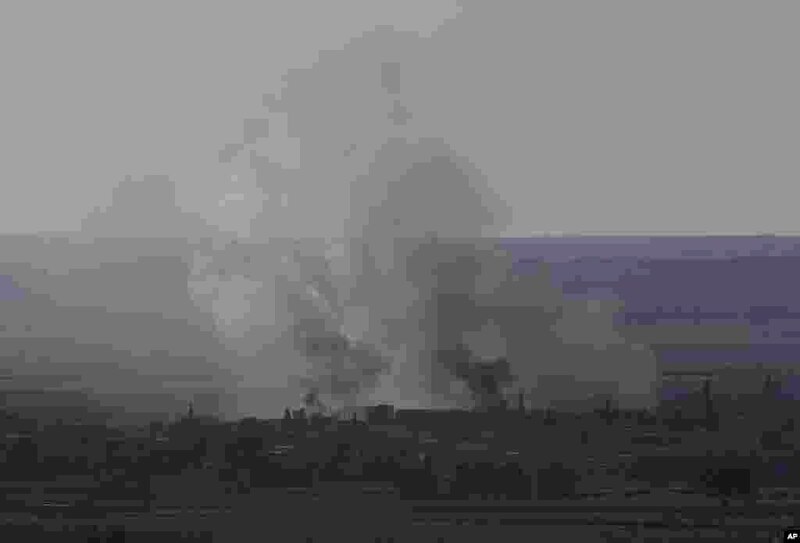 Smoke from fires are seen during fighting between Syrian Kurds and the Islamic State militants, as seen from the Turkey-Syria border, Oct. 21, 2014. 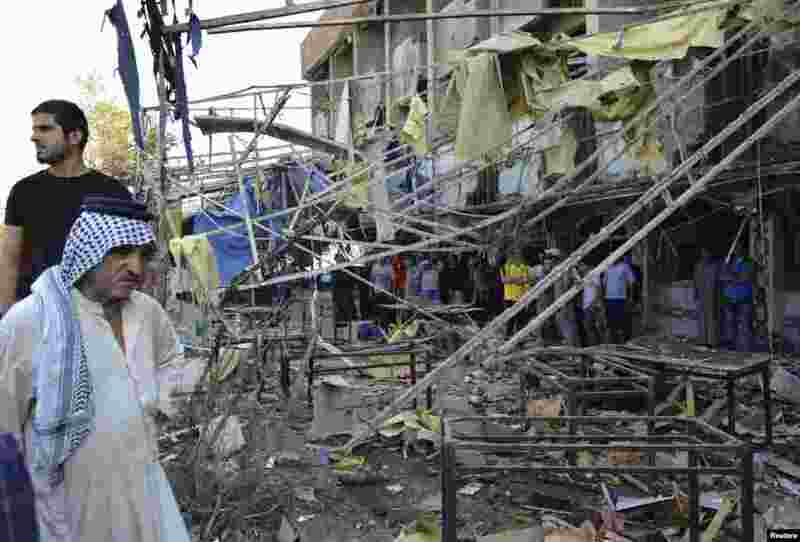 3 Iraqi security forces and civilians gather at the site of a car bomb, after a series of bombs targeting restaurants across Baghdad killed at least 21 people. 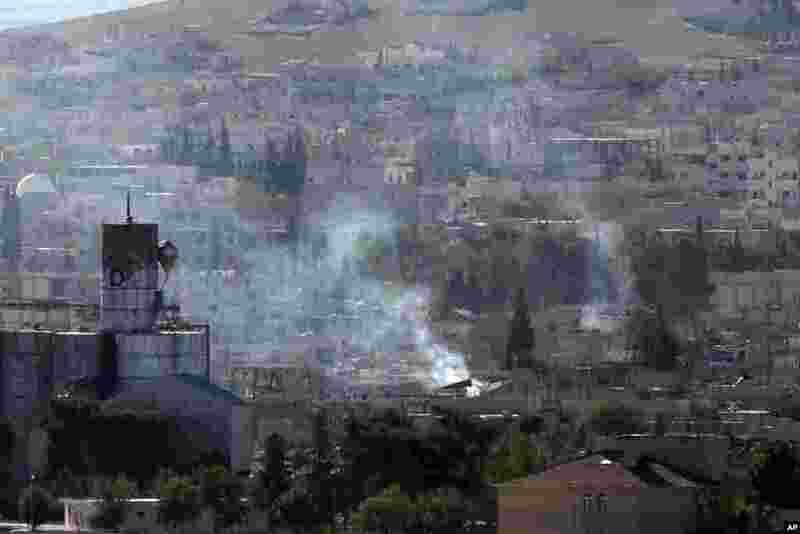 Many of the recent attacks have been claimed by Islamic State militants who have overrun large parts of Iraq and neighboring Syria, Oct. 21, 2014. 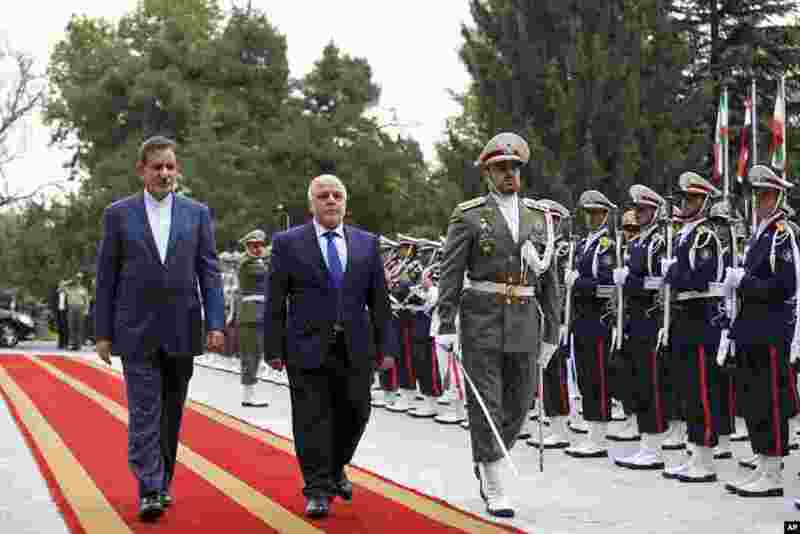 4 Iranian Vice President Eshagh Jahangiri (left) walks with Iraqi Prime Minister Heidar al-Abadi (center) during a welcoming ceremony at Saadabad Palace, Tehran, Iran, Oct. 21, 2014. 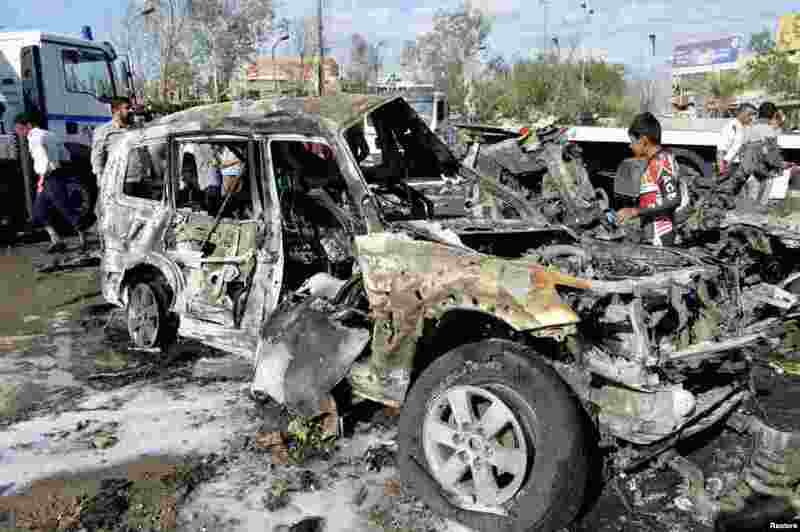 5 People gather at the site of a car bomb attack in Baghdad, October 21, 2014.